3/7/10 - The “Cobra” Chuck Hebing Makes it an Even Half Dozen at the Motorsports Expo. The “Cobra” Chuck Hebing Makes it an Even Half Dozen at the Motorsports Expo. SYRACUSE, NY – Back from his recent vacation in the tropics, the driver known in these parts as the “Cobra”, Chuck Hebing is the sixth and final entrant for the Lucas Oil Empire Super Sprints (ESS) booth for 24th Annual Motorsports Expo held on March 13 and 14. The annual upstate New York car show held in the Center of Progress Building on the New York State Fairgrounds kicks off the racing season each year. The Cobra Coaches, #45, sprinter will make its second appearance in a row as a part of ESS’ display. Hebing will sign autographs on Saturday joining Justin Barger, Jeff Cook, Brian McDonald, Anthony Cain, Jami Russell, Jessica Zemken and Cory Sparks. After taking seventh in points with three wins in his first full year on the tour he hopes to move up the rankings this year. In a double announcement, Hebing’s business Cobra Coaches is back to sponsor the dash series for 2010. The top five drivers in points earned during the 4-lap event at each ESS full point show will share from the lucrative fund. For more information please log on to www.cobracoaches.com too see Hebing’s latest in custom work. 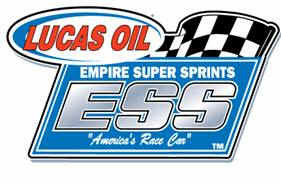 For more information and exciting announcements on the 24th Annual Motorsports Expo please log on to www.gaternews.com or www.empiresupersprints.com .